Bradley S. Quon, MD, FRCPC, MSc, MBA. 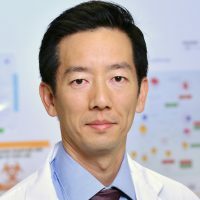 Dr. Quon is a clinician-scientist with expertise in biomarker research, clinical epidemiology, and clinical research in cystic fibrosis. Dr. Quon received his BSc at the University of British Columbia (UBC) in Microbiology and Immunology. He completed a combined MD-MBA program at McGill University. Subsequently, he completed residency training in Internal Medicine and fellowship training in Respirology at UBC. Following completion of clinical training, he undertook two years of clinical research training in cystic fibrosis at the University of Washington. He is currently Assistant Professor of Medicine and Principal Investigator at the University of British Columbia Centre for Heart and Lung Innovation. He holds a Michael Smith Foundation for Health Research Scholar Award and to date has 50 publications in the field of CF.